420 College™, announces the acquisition of the Cannabis Events Organizer License – from California’s Bureau Of Cannabis Control – granting permission to begin hosting events for legal cannabis products and consumption. 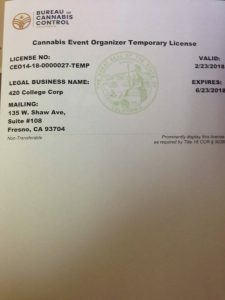 Acquisition of the Cannabis Events Organizer License allows 420 College™ to now obtain Temporary Cannabis Event License(s). Access to “temporary-license” event permits allow for the hosting of (21 and older) public cannabis consumption events. Events aim to attract cannabis consumers and cannabis businesses for the purpose of hanging out & buying and consuming a variety of the latest cannabis products on the market. Events are currently restricted to county fairgrounds and district agricultural associations. Temporary licenses authorize cannabis events to last up to a maximum of four days. 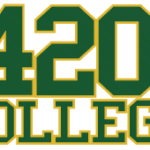 420 College™ is a – California-based – higher education institute, with offices located in Pasadena, Fresno. Since beginning in 2009, 420 College™ has been providing cannabis business entrepreneurs with quality cannabis business training. 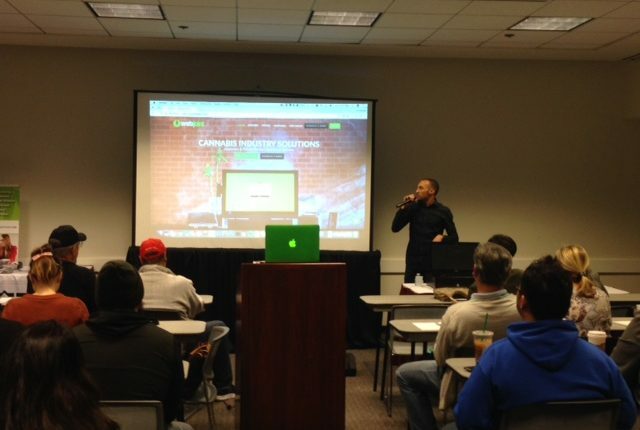 Cannabis business training involves courses, workshops, conferences and classes. We’ve conducted training in California, Oregon, Washington, Florida, Michigan, Nevada, New York, Washington D.C and Ohio. 420 College™ aims at providing up-to-date information on the rapidly evolving cannabis laws and regulations for businesses. Providing training to those who seek to get a legal start in the cannabis industry. Teaching you how to promote the legal cultivation, distribution and use of cannabis products (“medical marijuana”) – and providing education and business resources for starting and building a thriving cannabis business. 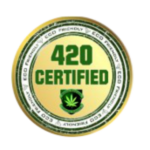 420 College™ consists of a team of professionals including attorneys, accountants, insurance agents, real estate agents, software providers, cannabis testing labs, cannabis growers, credit card processors, bankers and more. Bureau Of Cannabis Control is the governing body who’s responsible for regulating commercial cannabis licenses for retailers, distributors, microbusinesses, testing laboratories and temporary cannabis events. Tasked with developing up-to-date regulations for medical and adult-use cannabis in California.